This Lyfe Style flask enclosed in a stunning camouflage print, is a suburb gift idea for the outdoor enthusiast. Caring for your flask: Clean your flask with warm water and vinegar. Avoid putting acidic beverages in your flask. Flask is waterproof, but not safe in your dishwasher. Enjoy! This Lyfe Style flask enclosed in a stunning camouflage print, is a suburb gift idea for the outdoor enthusiast. 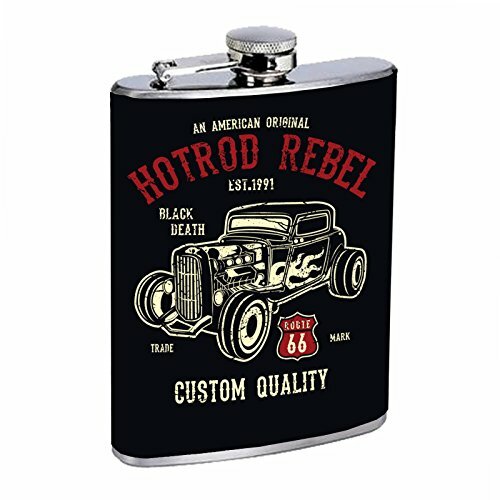 Design seams on the side for full use of graphics on front and back of flask. Flasks are great wedding gifts, as well as groomsmen and bridal party gifts. Both men and women delight in such a unique, fun and functional gift. If you have any questions about this product by Lyfe Style, contact us by completing and submitting the form below. If you are looking for a specif part number, please include it with your message. Island Dogs Stainless Steel Nobody Knows I'M Gay Flask, 6 oz.